Former UN diplomat and Congress MP Shashi Tharoor has rejected an online petition campaign projecting him as UPA's Prime Ministerial candidate in the run-up to general elections 2019. In his face book post, Tharoor, MP from Thiruvananthapuram constituency, wanted the people behind the campaign to withdraw the same. "I was both surprised and touched by the Change.org petition that has been circulating over the last few days suggesting a greater role for me in the Congress party and in national politics in the 2019 elections, and by the response this has received. 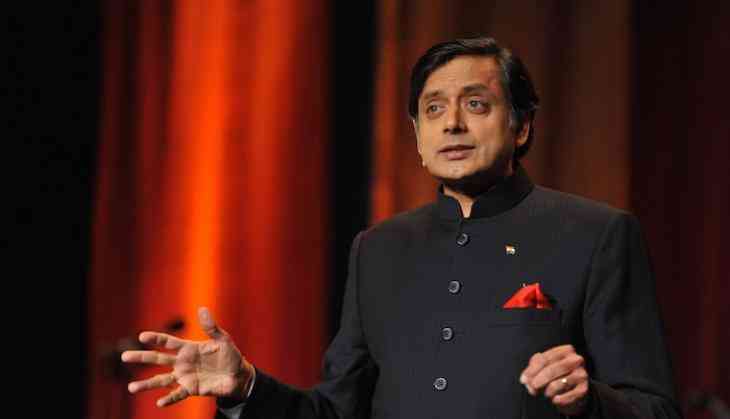 I do, however, feel it is time to make it clear that I neither support nor endorse such a campaign," Tharoor said. Tharoor said he ignored the petition initially, but obliged to respond as it has gained attention in the media. The MP thanked the creator of the petition and everyone who has signed it so far. "I have, however, discouraged those of my followers who have asked me about this from doing so, since I do not support such a campaign," Tharoor said in the post. "I am a member of Parliament for the Congress Party, nothing more and nothing less. The party has a settled leadership, which is not up for debate," he said adding "When changes occur they do so through an established procedure." He further said, "I will continue, to the best of my abilities, with my work in Parliament, in Thiruvananthapuram, and in articulating my hopes for India and the ideas that make India -- on those party platforms that are available to me, as well as on the national and international stage and through my writings." Tharoor thanked everyone for their support and requested that the petition be withdrawn. Decoding Baahubali: Over Rs 300 crore profit expected from this SS Rajamouli Franchise! Living on the edge: are America’s deportation laws traumatising immigrants? READ NEXT >> Living on the edge: are America’s deportation laws traumatising immigrants?